Knotty Knotty Crochet: super bulky striped hat FREE PATTERN! The pattern states: Begin with magic ring Round 1: 10 hdc in the magic ring. In the magic ring video attached the lady does single crochets into the ring. Does this pattern mean do the hdc after thc sc in the ring? or to do the hcd (in the ring) in place of the single crochets? Thank you!! I think i figured it out. I did find a video that has a magic ring with HDC. She did the magic ring and then ch 1 or ch2 (just like your linked video). Is this what you did? does the chain 2 count as a stitch? so then it would be the ch2 as a stitch and then 9 hdc? What size (child's age) head does this pattern fit? This will give you approx measurement of 6 inches (15cm) across for the crown or circle of the hat before you stop doing increasing rows. Then it will fit the proper hat size. I hope that makes sense. Do check out the hat chart. You can experiment with the number of stitches you start in your magic ring. I would do anywhere from 10-13 sts depending on how tightly you crochet, yarn size, hook etc. Its a bit of trial and error, but once you get it you will be able to size any hat. Good luck! What size is this hat (age range)? I am making one for a 7 year old. I understand the crown sizing and mine seems to be the same as what you did. The length just looks to short. According to what I have found it needs to be 8 inches in height. Is this including the ear flaps? I love making hats but I hate when they don't fit. Thanks for any help you can give. What size is the hat in the pattern? Like for what age? How would I make it smaller if I needed to? Thanks! So do I make less stitches in the magic ring? I am wondering what colors you used in the hat with the matching doll hat? Obviously white and then I think it is the hot pink, so what are the colors of the trurqouise and the purple? 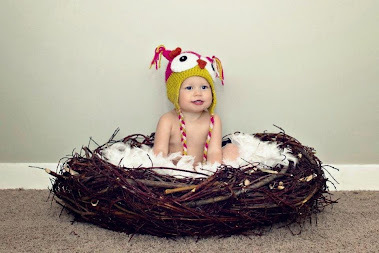 And how many skeins of yarn would I need to make a hat like this? I have heard that there isn't much yarn on the skein. Thanks so much and it looks beautiful!! What colors did you use for the doll combo hats? I still have some of the older Bernat Softee Chunky (before it was super sized). Do you still have your older version of the pattern? Or would I use this pattern do make my hat according to the hat size chart? I am assuming I would use a smaller hook?